These Display Easels with Traditional Configurations are Ideal for Upscale Settings! 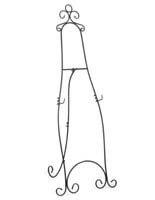 Bring Picture Frames, Signage, and Works of Art to Life with these Stands! These display easels feature a decorative, curved design. 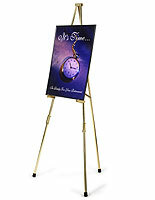 These art stands can be used to display posters, paintings and even announcement boards. Constructed from durable metal, these display easels are built to last. The sturdy design provides a solid stand to exhibit expensive artwork. 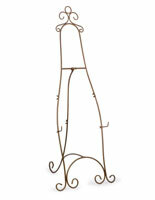 These display easels, also known as art display stands, are meant for use in indoor locations. The silver finish allows the display easel to easily coordinate with any environment. 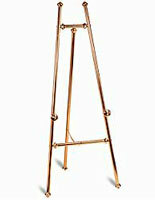 We also sell these display easels in a copper finish as well. 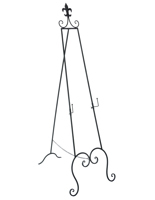 These decorative metal tripods, like art stands and picture displays, are commonly seen in places like restaurants, office lobbies, retailers, studios and hotels. 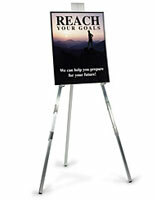 Standing at a height of 71-1/4" tall, these display easels can easily attract patrons' attention. 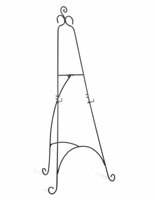 These art displays, tripod stands and other gallery fixtures are the most inexpensive way to present your artwork. These display easels have two height-adjustable hooks (up to 51"h) for displaying a variety of different size poster frames. Each of the stands is shipped unassembled and takes only a couple of minutes to set up. No extra tools are required to complete the assembly process. 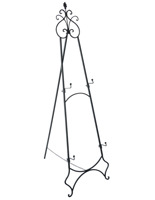 We supply the display easels with the hardware necessary for assembly as well. Change the way you display your master piece with these display easels. 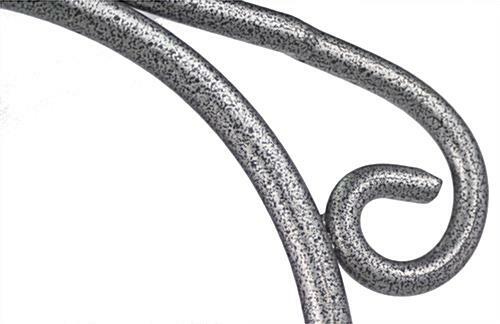 27.0" x 71.3" x 29.0"